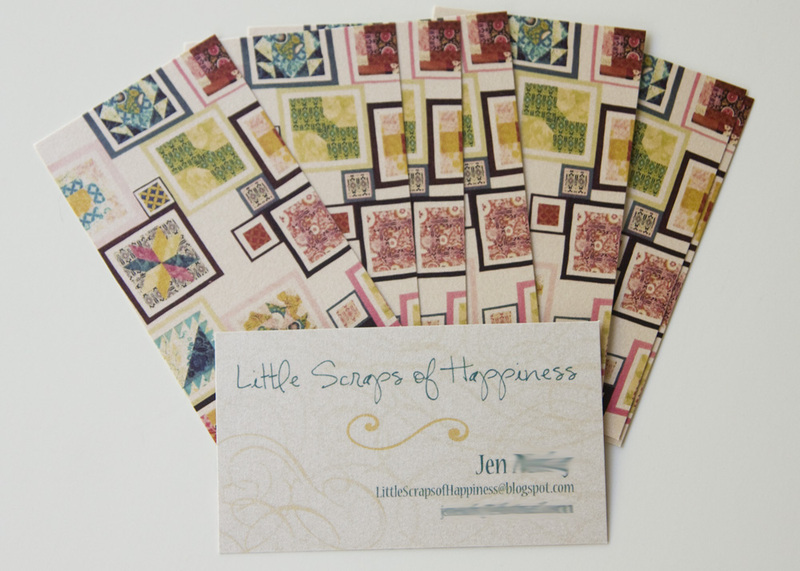 I swapped several ideas with Jen from Little Scraps of Happiness last week for her business cards that she won in my giveaway. We made a decision on Saturday, and UPS dropped them off today. I'm so excited to send them onto her. She decided to use this quilt as the back of the card. I love this quilt and wanted to make one exactly like it when I saw it on Modify Tradition earlier this year. It's a fabulous quilt that goes along so well with the name of her blog. 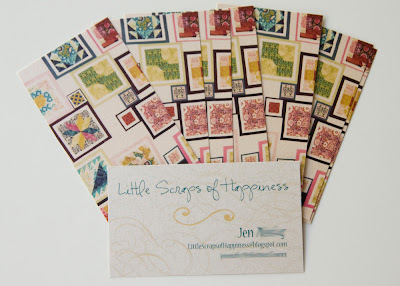 Here's a preview for Jen on how her cards turned out. They'll be in the mail tomorrow, Jen. Happy Wednesday! It's so fun! Love it! Kati, the fabric you sent arrived yesterday. I love it! 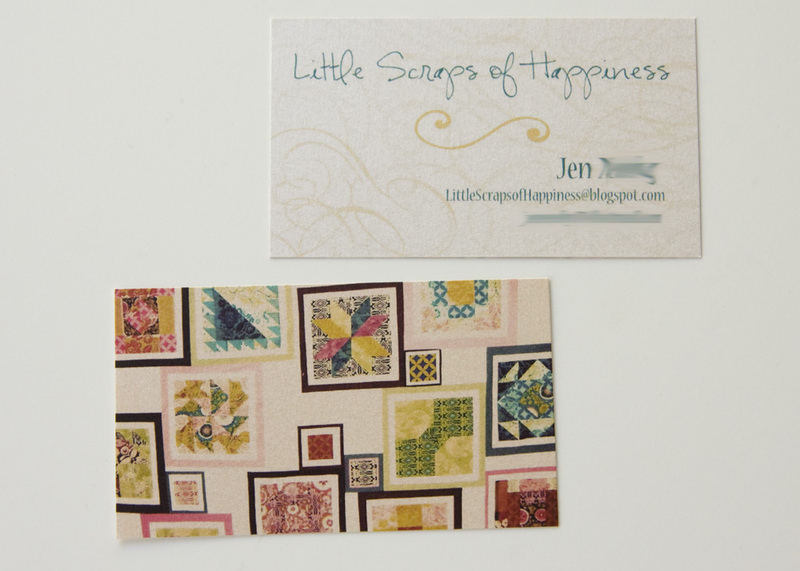 Thank you again and your business card looks even better in person! So so so nice! Such cute cards! Nice job! Oh Kati! They are perfect!! I love them! Thank you so much for such a generous and awesome giveaway!! I can't wait to get them!